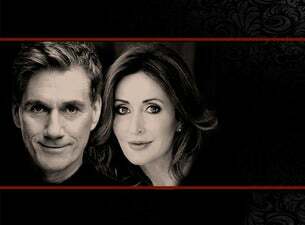 After selling out their 2017 show and a 50 date national tour in 2018, Soprano and Tenor powerhouse legends, of Musical Theatre & Opera, Marina Prior & David Hobson return to the Palms at Crown Saturday 20 July 2019. ‘The 2 Of Us’, ‘Up Close & Personal ‘ is accompanied by renowned pianist David Cameron, in a two-hour intimate performance. Marina and David will perform their classics from productions such as The Phantom of The Opera, Les Miserables, West Side Story, Guys and Dolls, Chitty Chitty Bang Bang and La Boheme, to name but a few, as well as favourites from their award-winning albums. “It’s great that we have the opportunity to take the show to the people, in areas around the country, that we may not have otherwise been able to get to with some of the bigger productions we perform in’ says Marina. ‘With the Up Close & Personal show, its like you’re in our living room and we’re in yours, singing both yours and our favourite songs with a few funny career stories thrown in’, says David.